» Cousin Sal’s Week 2 Prop Bets! Cousin Sal’s Week 2 Prop Bets! Opening week was not all we degenerate gamblers had hoped for. I personally went in the hole 8,000 jermajesties. And I wasn’t alone. It turns out some people actually bet real money on these games. Vegas cleaned up. Jay Kornegay, vice president of race and sports at the Westgate SuperBook, told ESPN it was the best Sunday of his 20-year-plus bookmaking career. So now we know who to mug on his way out of this Saturday’s 10 p.m. showing of the Blue Man Group. The last five games between these teams have been decided by exactly 14 points. I like when people feel they need to stress the “exactly” part of this trend. As if when you merely say “decided by 14 points,” the rest of us will assume there’s a margin of error. Anyway, I expect this trend to continue — so much so that I’m risking “exactly” 2,000 jermajesties on each of these to prove it. Jerry Jones proves his genius once again. He’s not able to put a winning team on the football field. So he does the next best thing. He puts winning fans in the crowd. Fans of the visiting team. Because, really, the main objective is to make sure the paying spectators leave happy, right? Who cares if they’re not yours, and from thousands of miles away? Nice job, Jerry. And an even better job by his rhinoplasty surgeon for making it so we would never be able to tell if J.J. was upset by the 49ers-fan invasion. 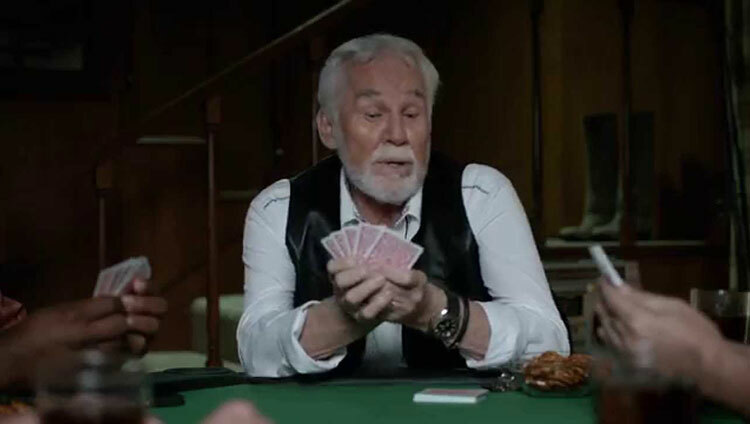 If you watched any 15-minute stretch of pro football on any of the networks last week, you were treated to a new Geico ad where Kenny Rogers sang a snippet of his classic song “The Gambler.” But it’s a new and improved Kenny Rogers — unlike the new and disturbing version we’ve become accustomed to, this millennium. You have to see the transformation. It’s almost like instead of having everything pulled up, he had it shifted down. He now looks more human than the Geico lizard, which was enough of a reason for the company to pay him to push their product. The dealin’s done, Kenny. Please stick with this current variant of your face. That 11 different players caught a Carson Palmer pass on Monday night makes me certain it was the wrong move. We are currently witnessing The Wreck of the Larry Fitzgerald. I just Chris Berman’d myself. Actually felt pretty good. This receipt shows the Eagles running back left a 20 … yes 20-cent tip on a $61 tab. Best-case scenario, Shady McCoy misunderstood the whole suggested “20 cents on a dollar” tip guideline. 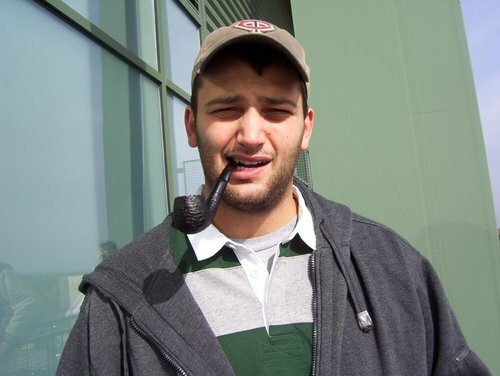 Either way, the Eagles should make things right by allowing poor Rob to keep the coin after next week’s pregame toss. Yes, Chris, you and 30,000 other people corrected me for this podcast blunder. I totally spaced. Oh, and you’re in luck. I took a picture of the stupid look on my face when I first realized the Vikings don’t play in a dome. Here it is. Over/under 17.5 months before the welts I incurred at the wrath of my Aunt Chippy at the tail end of my latest hidden-camera prank on Jimmy Kimmel at her ceramics class fully heal. Do yourself a huge favor and look up my partner in crime on YouTube. His name is Judo Gene LeBell. He’s a sweet yet terrifying man, who many believe invented mixed martial arts. Also, he has choked me unconscious in front of a group of people, and if I embarrass myself with lackluster NFL picks during my SportsCenter debut this Friday morning (airing throughout the weekend), I’m going to have him do it again. That’s that. Enjoy Week 2.